Hospitals: Who is earning more than the $418,000 proposed BPS salary cap? 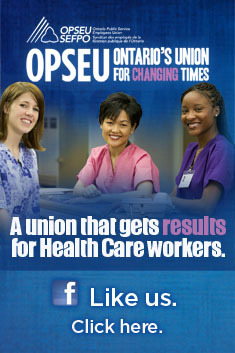 The Ontario Hospital Association is disappointed again. This week Dwight Duncan announced the government’s intention to cap salaries for new employees in the broader public sector – including hospitals – to $418,000 a year, or double Dalton McGuinty’s salary. The idea had gained some traction in the last election when the NDP proposed it as a way of reining in rising executive salaries in the broader public sector. The OHA issued a release this week in which they used the 2010 public sector salary disclosure to show that only 77 of the 207,000 people employed by Ontario’s hospitals earned more than $418,000 per year. Assuming those folks were rolled back to double the Premier’s salary (which Duncan is NOT proposing) it would save $4.7 million. If applied to all BPS employers, it would amount to $7.3 million. Given it only applies to new employees, the University Health Network’s Bob Bell, for example, would get to hang on to his almost $754,000 earned in 2011. “This is another example of the Government of Ontario and legislators devaluing the work and skills of hospital leaders, and those who lead Ontario’s vital BPS organizations,” the OHA said in the release. Obviously OHA President and CEO Pat Campbell trotted out the 2010 figures because they happened to be on hand from last year’s response to the NDP campaign pledge. We actually took a look at the 2011 disclosure and found one less body in the more than “double the Dalton” club. However, with all those registered nurses barely creeping into the sunshine list, it would be easy to overlook a couple of high flyers. Inside Queen’s Park reports that Gail Paech has been named interim CEO of the Ontario Long Term Care Association. Paech is well-known in Queen’s Park circles. She was at the center of controversy in 2009 when it was learned the McGuinty government was hiding the salaries of senior bureaucrats in hospital budgets. The former CEO of Toronto East General Hospital, Paech was serving as associate deputy minister of economic development and trade but drawing her $291,997 salary from the University Health Network. The recommended maximum for an ADM was $188,950 at the time. Paech was also Health Results Team Lead for System Integration. She developed the strategic policy framework to support the government’s decision to create the Local Health Integration Networks. During the e-Health scandal Paech was described by the Toronto Star as being “influential in the program.” In fact, while Sara Kramer took the fall, Paech was in fact the program lead for e-Health. At the time she told the Star it was “not my practice” to award any untendered contracts. The Ontario Long Term Care Association claims to represent the “full mix of long term care providers”, although it is considered by many to be the primary organizational voice of for-profit nursing homes. It claims to have 430 institutional members. This organization is separate from the Ontario Association for Non-Profit Homes and Services for Seniors. There is no indication of what Paech’s salary will be.